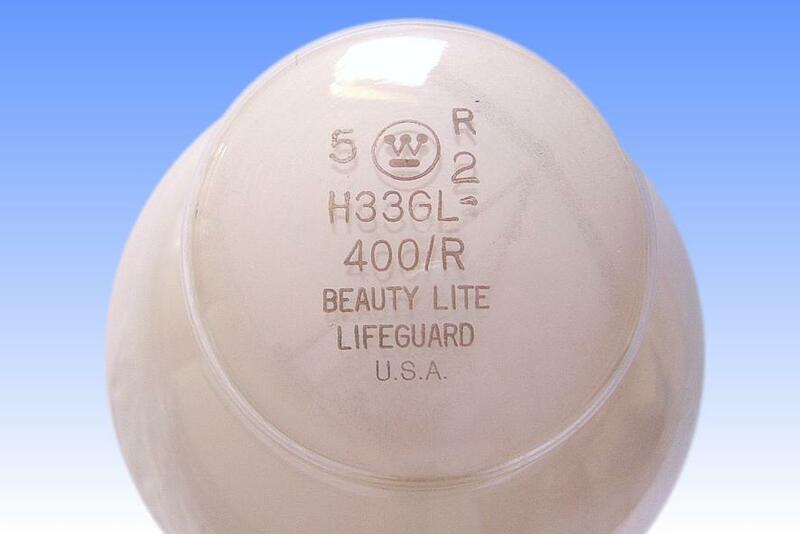 This Westinghouse 'Beauty-Lite' lamp, launched in the 1970s, is representative of a type that was optimised for its colour rendering properties. 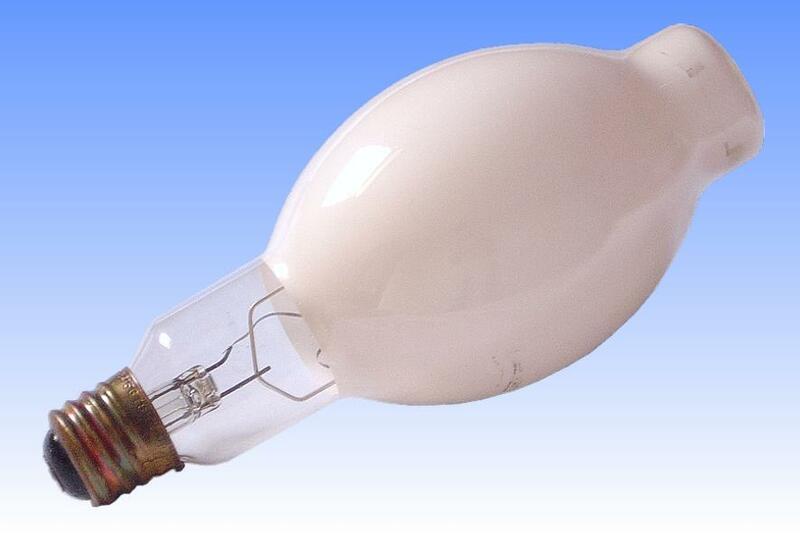 Initially it was a popular low cost alternative to the then still new metal halide lamps. 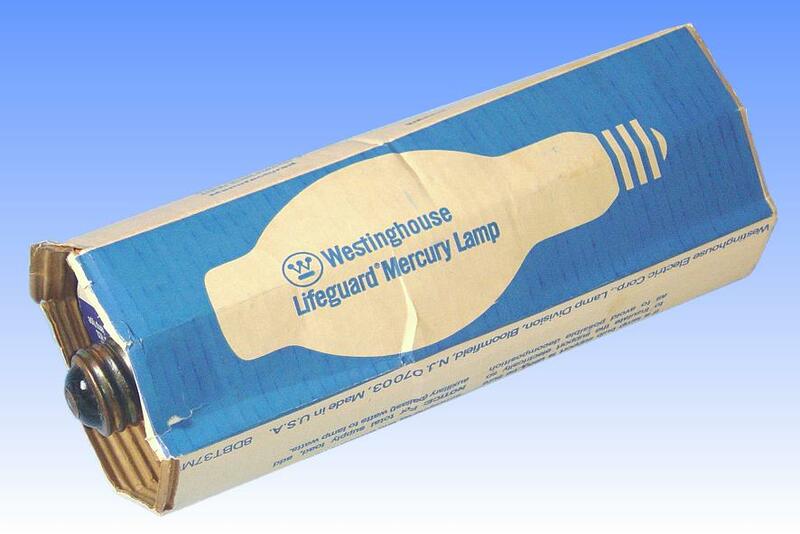 But as the price of metal halide systems fell, this lamp diminished in popularity and was de-listed in the mid 1980s. 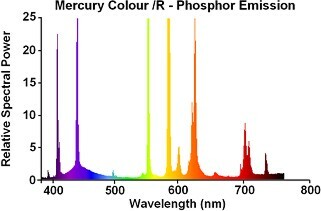 The main phosphor is europium activated yttrium phosphate vanadate, which is clearly identifiable by its characteristic peaks in the spectrum around 620 and 700nm. It is augmented by a second phosphor emitting in the broad blue region of the spectrum and peaking around 440nm. This is made visible in a zoomed in view of just the lower intensities of the spectral power distribution. 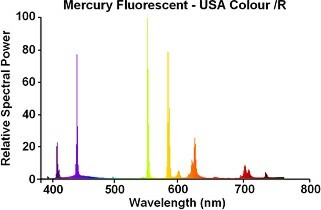 The blue emission is responsible for increasing the strength of the otherwise rather weak mercury blue lines, and its function is to decrease the relative strength of the mercury green line, and give this lamp a more natural hue without absorbing that line, thus causing minimal efficacy loss. The material is unknown but may be strontium chloroapatite. 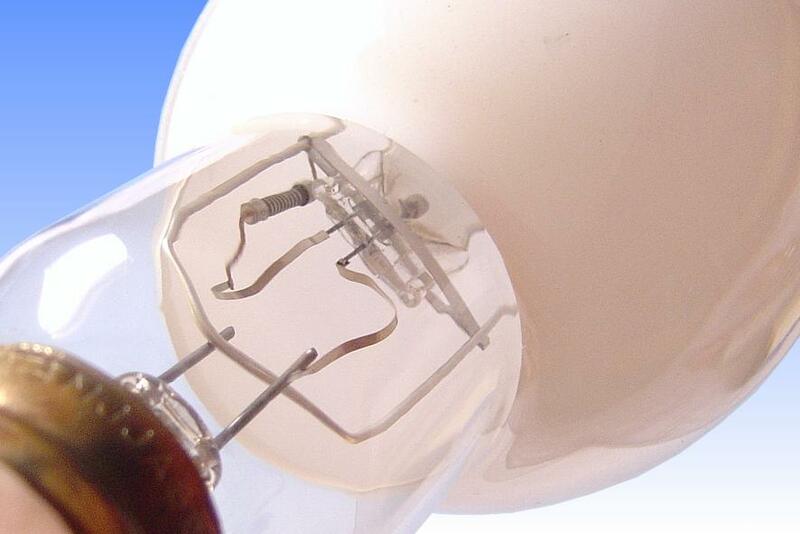 The red ratio of this lamp is 12.5%, marginally higher than the 11% that is a typical for /DX lamps employing just the standard yttrium vanadate. Colour temperature is also reduced slightly to 3850K. Colour rendering index remains substantially unchanged. However there is a very dramatic drop in the CCy co-ordinate. This puts its colour point well below the blackbody locus and imparts a slight rose-coloured hue to the light. This causes better rendition of skin colour tones and is perhaps the main reason for the success of this lamp indoors.